We initiated a collaboration with UK’s Dazed magazine to produce a 12-page fashion campaign. Six up-and-coming fashion designers were commissioned to share their vision of contemporary urban life style. At the same time, we experimented with the MINI Coupe’s original factory 3D CAD files. 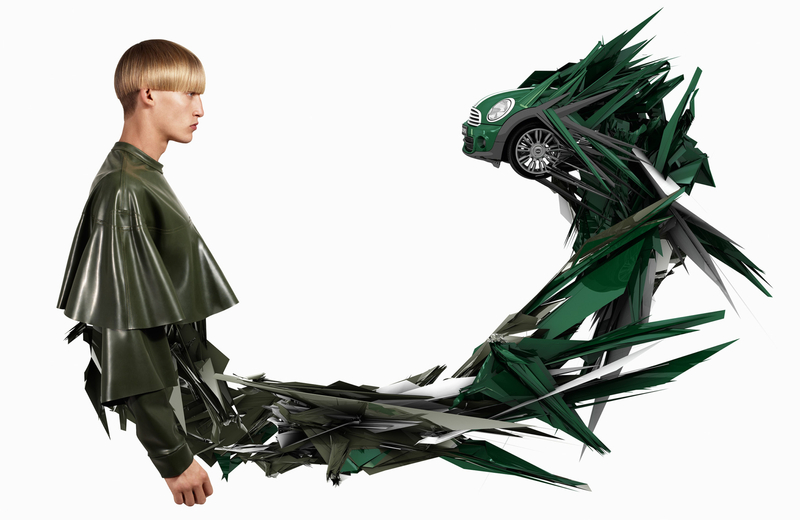 Our goal was to bring the fashion shots and the car’s virtual volumes seamlessly together into the same world.